I’m in the King’s Cross district of Sydney, Australia in February, 1990. The Pogues are installed at the Gazebo Hotel and there’s a deal of havoc. Frank Murray, the band’s manager is riding it out. Musicians are arriving, going errant, cussing and misbehaving. Frank has lost a handsome new watch but gained an Aboriginal painting. Later the watch will turn up on the arm of a crew member who was keeping it safe after it had been detached from the owner the night before. Frank Murray is a mench, a major dude, a high-ranking member of the Murphia. He tells the best stories, sucking his teeth at dramatic moments. He dresses well, like a cast member from Mean Streets. Before taking on the Pogues gig, he was a tour manager for The Specials, Dexys, Elton John and most importantly, Thin Lizzy. He enjoys the life and seems to be uniquely able to sustain the band as a functioning carry-on. He’s from the southside of Dublin, schooled at Drimnagh Castle Christian Brothers and then Rathmines College of Commerce. He was a teenage pig-smuggler and an amateur horse rustler. 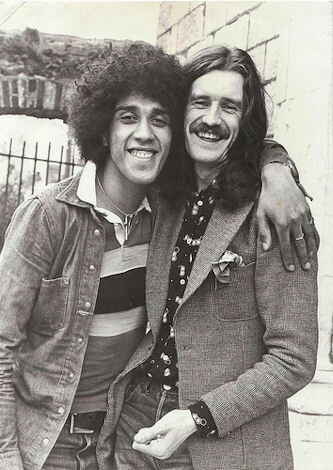 Another southsider, Phil Lynott was from Crumlin and Frank watched him when he played with The Black Eagles and Skid Row. They became close like brothers, and Phil put his name into songs like ‘The Farmer’ and ‘Frankie Carroll’. 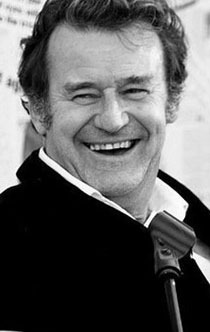 The singer’s death in 1986 is a source of sorrow, anger and regret. In his conversations, Frank always calls him Philip. The band finally gather in the hotel lobby and head north from Sydney to a suburban surf joint in the Dee Why area. Spider Stacey is in bad shape and the gig is uneven. But there are two moments that make it amazing. Firstly a girl called Biddy turns up to sing ‘Fairytale In New York’, unrehearsed. Finally, there is an Eric Bogle song, ‘The Band Played Waltzing Matilda’. It’s the story of a young man who roves across Australia, from the Murray’s green basin to the dusty outback. Then he is maimed in the Gallipoli Landing on 1915 and he returns home minus his legs. It’s always a powerful song but Shane MacGowan gives it his very best at Dee Why. Many eyes are moist and we are shaken for a long time after. I turn around to Frank Murray. He’s feeling it also. Then he starts to smile. On December 22, 2016 we learnt that Frank had died of a heart attack. Social media carried the shock, the love and the stories. More recently he had worked with acts such as The Mighty Stef and The Lost Brothers. He had been active at the Austin Fleadh and other projects during sxsw and was Executive Producer of a film, Come On Eileen. After The Pogues, Frank had looked after The Frames. There was little traction for the band at that time but Frank had worked hard, winning the support dates with Bob Dylan and looking for international chances. He was very tight with the singer Glen Hansard and for a while they were dressing alike, Dublin soul brothers. Frank’s contribution to the Pogues was beyond regular management. He brought a lot of the old Lizzy team into the camp and he was involved in the recruitment of Philip Chevron (former Radiators) and Terry Woods (Steelye Span, The Woods Band). As a result, the band achieved a greater sense of history and context. And while ‘Fairytale Of New York’ is the achievement of Shane MacGowan and Jem Finer, Frank helped with the evolution of the work over several years, bringing in Kirsty MacColl, one of his old management charges to sing those timeless lines. Frank’s generation (he was 66 when he died) had made headways for Irish music when the odds were severe. That’s why the Murphia was so important. Everybody pulled for each other and this loose network included Ted Carroll and Roger Armstrong (Rock On, Ace Records), Dave Robinson (Stiff Records), Chris O’Donnell and Chris Morrison (Thin Lizzy co-managers). I loved hearing the stories. They were like pioneers on the Oregon Trail. There was a Murphia reunion of sorts at Henry McCullough’s funeral service in Belfast in June and Frank looked great. Elton John called him Ruby. There are so many personal connections. Cáit O’Riordan, former Pogue, writes: “RIP that wicked gleam in his eye, that kind heart”. He was a don, a Dub, a wise man, well-tailored Capo, a loyal friend.